The Nizza Paradise of Lugano (Ticino, Switzerland) is a residence of apartments with a gym. Guests can use a fitness area located within the complex. The gym is conceived according to the most modern fitness concepts and has an area of 24 m2. It is located within the SPA area (floor -1), and designed by the architects to satisfy a physical and mental wellbeing. The privilege of using high-quality sports equipment without leaving home is certainly one of the appealing benefits of living in this residence. It is a service intended to increase the quality of the residents’ life and to help them reaching a psychophysical wellness. The gym is a large and bright area with wide window-doors and it is equipped with resting rooms, showers and lockers. It has last generation equipments and it is available 24/7. A wide and bright fitness area with last-generation equipment and available 24/7. 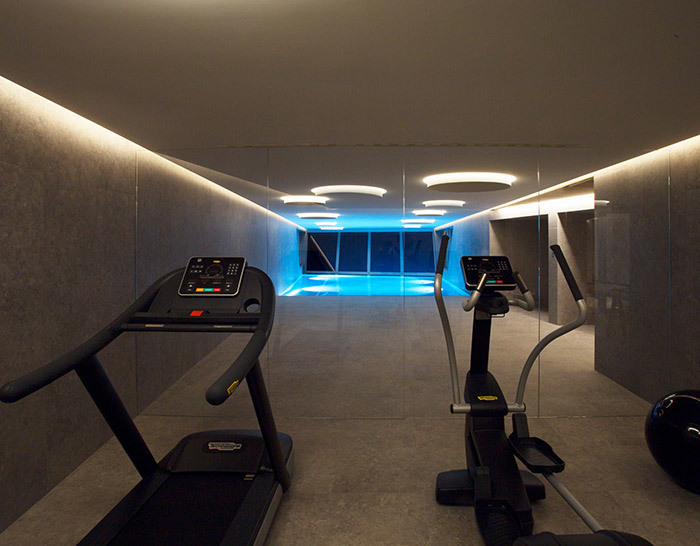 Apartments with gym in Lugano (Ticino, Switzerland), share this page!